SAAT 2019 Admit Card has been Available on 10th April 2019. Siksha ‘O’ Anusandhan University Admission Test, in short, it is known as (SAAT) this exam is a university level online entrance examination. This exam is a gateway of admission in UG & PG programmes. SAAT 2019 Exam will be held both online and offline from 14th to 28th April 2019 (Revised). NEET scorecard will be considered for the admission in medical & dental programmes and through SAAT and JEE Main scores candidates can get admission in B.Tech programmes. Details are provided here of SAAT 2019, including Application Form, Eligibility, Courses, Exam Dates, Admit Cards & Exam Pattern Etc. SAAT 2019 Admit Card has been Available on 10th April 2019. Click Here to Check Admit Card Details. SAAT 2019 Exam will be held both online and offline from 14th to 28th April 2019 (Revised). Click Here to Check Exam Date Details. SAAT 2019 Syllabus has been Released now. Click Here to Check Details Syllabus. SAAT 2019 Online Application Form can be filled till 31st March 2019. Click Here to Check Application Details. Here candidates will get Exam Dates of SAAT 2019 exam. Candidates should know events and exam dates, events such as Opening of the online application form, Last date of submission of application form, Availability of admit card, and Exam date etc. SAAT 2019 online Application form has been Started from 5th December 2018 and the Last date of submission of application form is 7th April 2019 (Extended). Candidates have to submit before the maturity day if candidates submit after that their application would not be accepted. Candidates who are interested can apply for SAAT 2019 through online mode only. SAAT 2019 Online Application Form will be Released from 5th December 2018. The last date of submission of application form is 31st March 2019. Candidates can apply those who are eligible for the course. Candidates have to fill all the details carefully on the application form. After filling details candidates have to upload the scanned copy of photograph and signature. The acknowledgment of the receipt of the SAAT 2019 application will be informed to candidates through e-mail or SMS. To apply there are no application form fees. If candidates want more details they should check On the official portal. To apply candidates should know the full eligibility criteria off Siksha ‘O’ Anusandhan University for various UG and PG courses. If candidates fail to fulfill any criteria their form will be not accepted so check criteria according to courses wise. B.Tech Pass/appearing in the 12th or equivalent examination with Physics and Mathematics (compulsory subjects) along with one of the Chemistry/Computer Science/Information Technology/ Biotechnology/Biology/Informatics/Statistics/Technical Vocational Subject or any other subject. Candidates have to secure at least 45% marks (40% marks in case of SC/ST/OBC category) in the above examination. B. Pharm 10+2 passed/appearing with English as one of the subjects and Physics, Chemistry, Mathematics (PCM) and or Biology (PCB/ PCMB.) as optional subjects individually. The minimum age limit is 17 years as on 31st December 2019. BHMCT Passed/appearing 10+2 in any discipline with at least 45% marks (40% marks for SC/ST/OBC candidates). BBA Passed/appearing 10+2 in any stream from a recognized institution. B.Sc in Nursing (Basic) The prescribed qualification is 12th passed/appearing with at least 45% aggregate marks (40% for SC/ST/OBC) taken together in Physics, Chemistry, and Biology. Pass 12th exam with English subjects. The lower age limit is 17 years as on 31st December 2019. BBA.LL.B. (Hons.) Passed/appearing 12th examination in any stream by attaining 45% marks (40% marks for SC/ST & 42% for OBC). M.Tech Pass/appearing in B.Tech/B.E./AMIE/MCA/M.Sc or equivalent in the respective discipline. Candidates have to secure at least 50% marks (45% in case of candidate belonging to reserved category)in the qualifying examination. GATE qualified candidates are exempted from the entrance test, but they have to the fillup the form. Admission into M.Tech. programmes will be done on the basis of performance in SAAT-2019 or valid GATE score. MCA Passed/appearing 3-years bachelor degree in any discipline with at least 50% marks (45% marks for SC/ST/OBC candidates). MCA (LE) The prescribed qualification for this course is 3-years BCA, B.Sc in Information Technology and B.Sc in Computer Science with at least 60% aggregate marks. MBA/MHM/MHA/MTTM Passed/appearing bachelor’s degree with not less than 50% marks (45% marks for SC/ST/OBC candidates). M.Sc in Nursing The prescribed qualification is B.Sc Nursing (Basic/Post Basic) passed with at least 55% aggregate marks. LL.M. Passed/appearing Bachelor degree in law or studied integrated law courses. M.Pharm Passed/appearing B.Pharm examination with at least 55% marks. GPAT qualified candidates are exempted from the entrance test, but they have to fill up the forms. SAAT 2019 Exam will be conducted on 14th April – 28th April 2019 (For Online Exam), the Offline Exam will be conducted on 27th April 2019 (Revised). 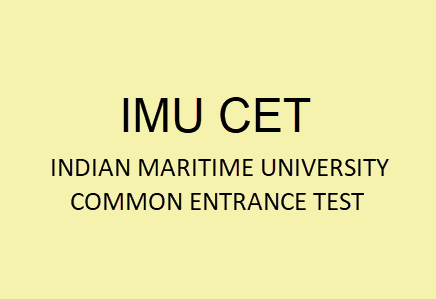 The exam will be held in online mode Computer Based test. Candidates have to complete paper within 2 hours. Question asked will be of objective type. SAAT exam pattern 2019 help the candidates to get the details about the structure of the exam. The examination pattern varies according to the course. Number of Questions: Total 120 questions will be asked on the M.Tech exam. The question paper of B.Tech will include questions from Physics, Chemistry and Mathematics subjects. Exam Mode: The examination will be held in online mode (Computer Based). Duration: The examination will be of 2 hours. The medium of Question Paper: The language of the question paper will be English. Syllabus of SAAT 2019 entrance exam for different courses will be issued by University separately. Candidates have to study from the syllabus, the syllabus will be different for each UG & PG courses. Candidates who have selected UG courses they have to prepare for the exam from 1th and 12th class syllabus as per the stream in 12th class and in PG course, the syllabus will be released by the university on their website. Hall ticket of SAAT 2019 will be made available on the university website. From the 10th April 2019 candidates can download the Hall Ticket from the websites. SAAT 2019 admit cards will be issued by authority on online mode. Candidates must carry admit cards along with valid identity proof in the exam hall. No candidates can enter in examination hall without valid admit cards. SAAT 2019 Result will be made available on online mode only. The result can be check by entering the correct registration number & date of birth etc., in official portal. SAAT 2019 Result will be Declare on 4th May 2019. SAAT 2019 Counseling will be Started From 12th May 2019 (For Engineering Only), SAAT 2019 counseling registration will be started all candidates have to submit documents for verification. All candidates have to submit the correct document for verification if found incorrect in scrutiny their application will be canceled. Candidates can apply for admission into regular courses under lateral entry scheme through SAAT 2019 those have the diploma in engineering/technology/ pharmacy and hotel management. Candidates are provided exam centers of SAAT 2019 entrance exam. For more details regarding SAAT 2019, they can heck on official portal of University.